This holiday apartment is on the ground floor of a villa and is next to the FKO126 apartment. You will enjoy two terraces as well as an above ground pool and a small gym to be shared with the guests in FKO126. The house is located in the Gulf of Sagone, in the small village of Coggia, where you can enjoy a public tennis court and enjoy typical Corsican evenings in the village's inn, not to mention the beaches where you can take as many water activities as you want. Experience the beauty of the Corsican landscapes by horse riding or hiking. You will have free access to the garden of the owner, who lives upstairs. The 2 apartments can be rented together, offering a capacity of 12 people. Bedroom 2 does not have any windows. There is a slightly sloped area to park your car. This solidly constructed modern apartment was recently built in 2005. The agent has rated it as a three star property so it is a well-kept apartment, equipped with standard furniture. It is also good value for money. 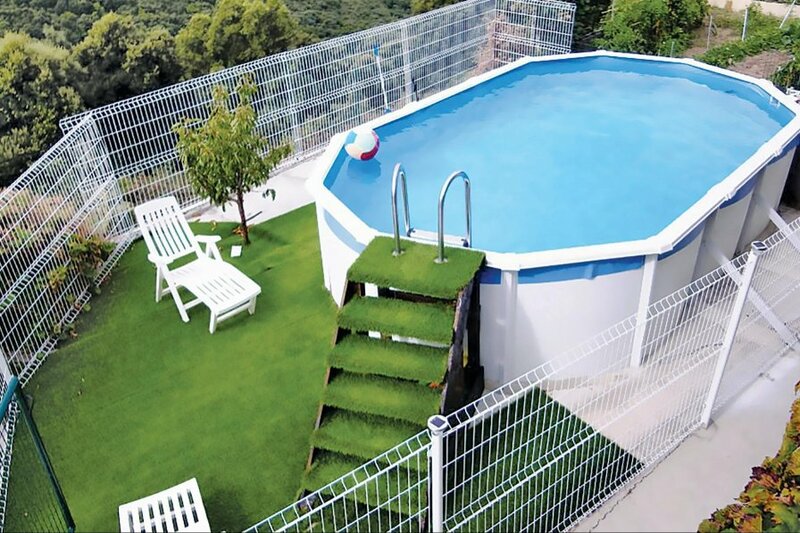 This apartment has use of a shared pool and mountain view; it is also located in Coggia, 42km from Ajaccio. It is set in a good location: there is a restaurant only 500 metres away. The apartment has free cable internet. You can also park on-site at no extra charge. The apartment is well equipped: it has a refrigerator, washing machine and dishwasher. It also has a barbecue and some garden furniture outside.